Another powerful attribute is its innate ability to avoid any linear or aimless drift. Linear drifting is displayed in a jerkbait without the ability to stop immediately thus leaving the angler less control when working the lure near or next to specific targets. The 120SP is different. 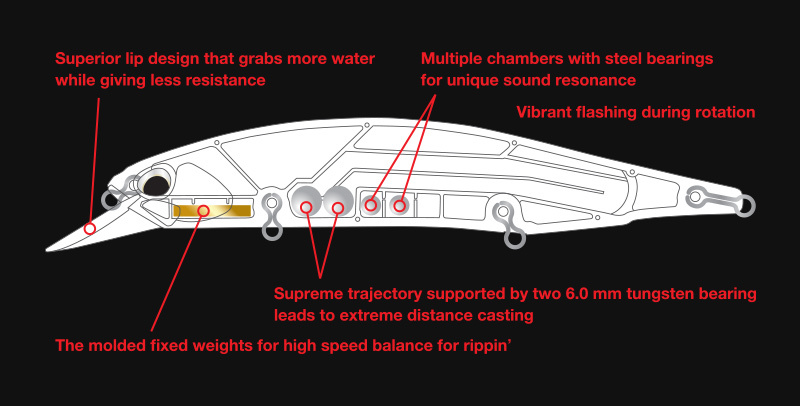 As anglers have mentioned, “It can stopped on a dime”, flicked or twitched in a radius of inches. It’s side to side “tack” or walk is also inches apart. 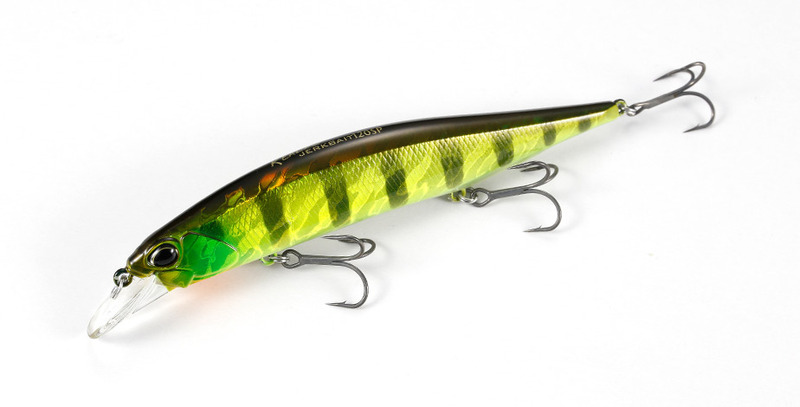 Realis Jerkbait 120SP is so well balanced the lure can be burned during retrieve like a crankbait without “crumping” (failing) during its travel. The multiple actions and versatility are capable in the 120SP due to high- end componentry hidden in its durable frame structure. The lip edges on the 120SP are thin yet strongest in the industry due to three reinforced locations.